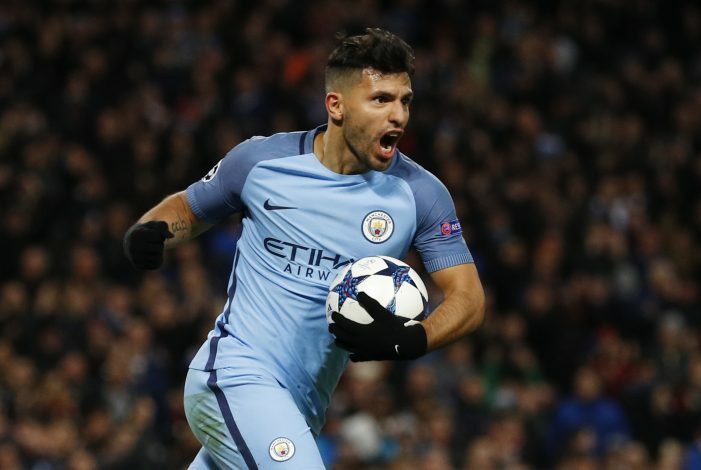 Manchester City ace, Sergio Aguero, has reportedly emerged as a target for the Premier League Champions Chelsea, as the Blues look for a suitable replacement for Diego Costa. Aguero has been mooted to leave the Citizens in recent months after he lost his place to Gabriel Jesus last summer. And with Chelsea having lost the race to capture their prime target Romelu Lukaku, Antonio Conte has now turned his attention to the Argentine forward. The Blues’ boss is in the market to fill Diego Costa’s spot, who was told earlier this summer that he wasn’t in the team plans for the upcoming season. And now, as per reports from Sky Sports, ‘Chelsea have “serious and strong interest” in signing Manchester City striker Sergio Aguero’. However, City manager Pep Guardiola wants to hold onto the 29-year-old. Also, the club chairman, Khaldoon Al Mubarak, had declared the speculation as ‘ridiculous’ when he was asked about Aguero’s future earlier in the summer. When asked if Aguero would remain at City, Al Mubarak had said: “Absolutely. There’s never been a doubt about that. I’ve read a lot of the speculation on this and it’s ridiculous. The Argentina international arrived at the Etihad in 2011 for £38 million from Atletico Madrid, and he currently has another 3 years left on his contract. Chelsea are also said to be monitoring the situations of Real Madrid’s Alvaro Morata, Borussia Dortmund’s Pierre-Emerick Aubameyang, and Torino’s Andrea Belotti.